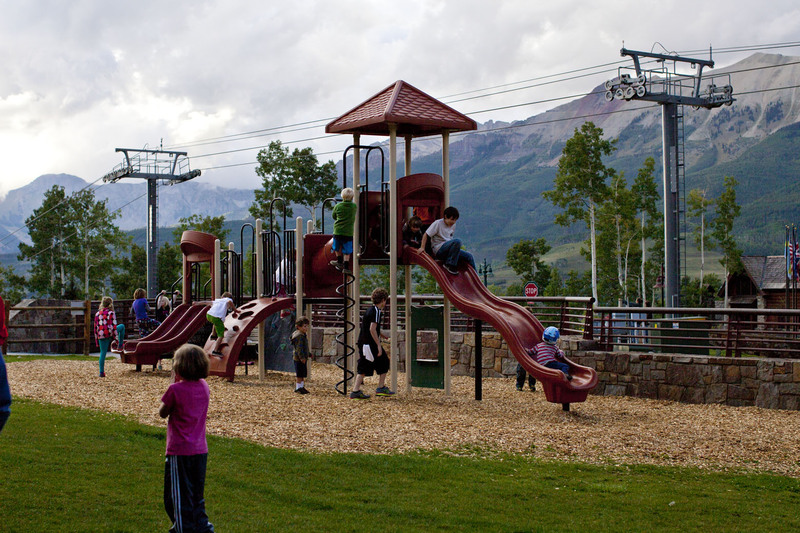 Our most heavily populated kid zones – Meadows and Sunset Plaza – are equipped with entertaining outdoor play equipment, all of which are positioned on grass with wood chips as their surfaces. The Meadows Playground is located at the west end of the Meadows Run Parking lot and Sunset Playground is located in Sunset Plaza. Please note, we do not monitor or patrol these areas.